Sometimes, the most delicious treat is something as simple as chocolate pudding. 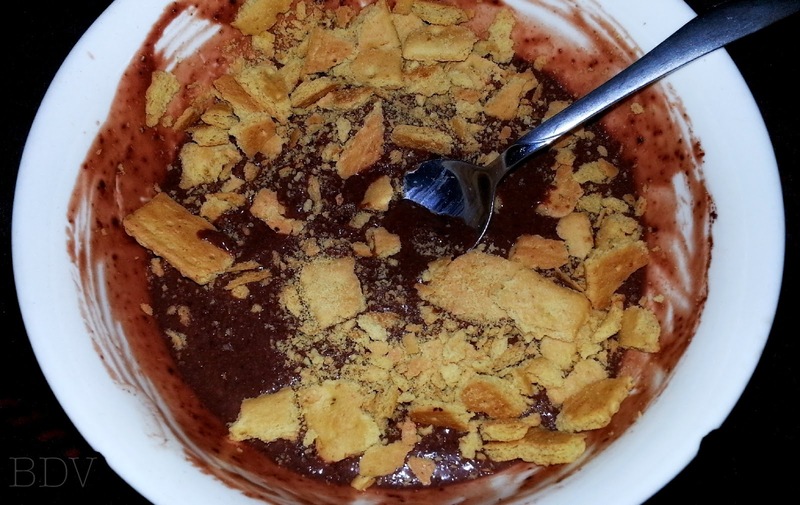 I had such a sweet tooth and while I had really wanted to make a run to Starbucks, I instead decided to indulge on some instant chocolate pudding. I know that a lot of people really like to add whipped cream to their chocolate pudding - and while this is most definitely something that I love... I didn't have any, so I chose crumbled up graham crackers instead. Having pudding around helps me avoid the disaster of going to the grocery store and grabbing the first sweet thing that looks good. Thankfully, pudding is easily low-calorie and it also satiates the chocolate craving. What do you have on hand to handle your sweet-tooth?